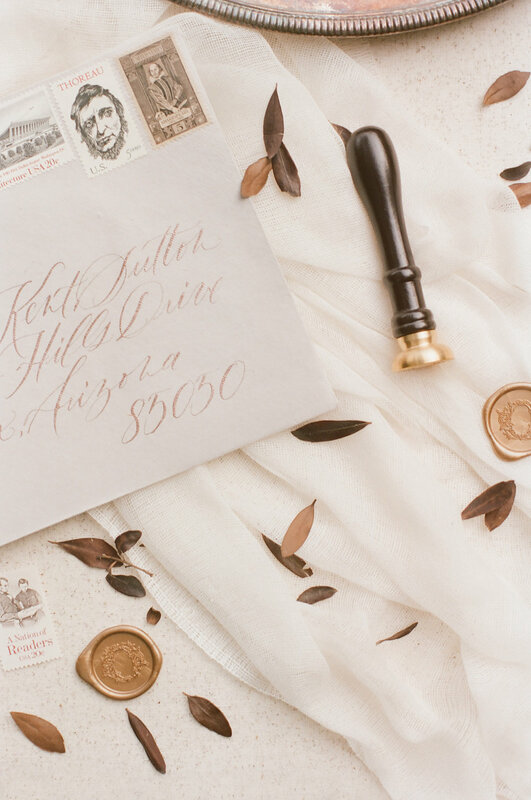 There is something so magical about receiving a hand calligraphed envelope in the mail! 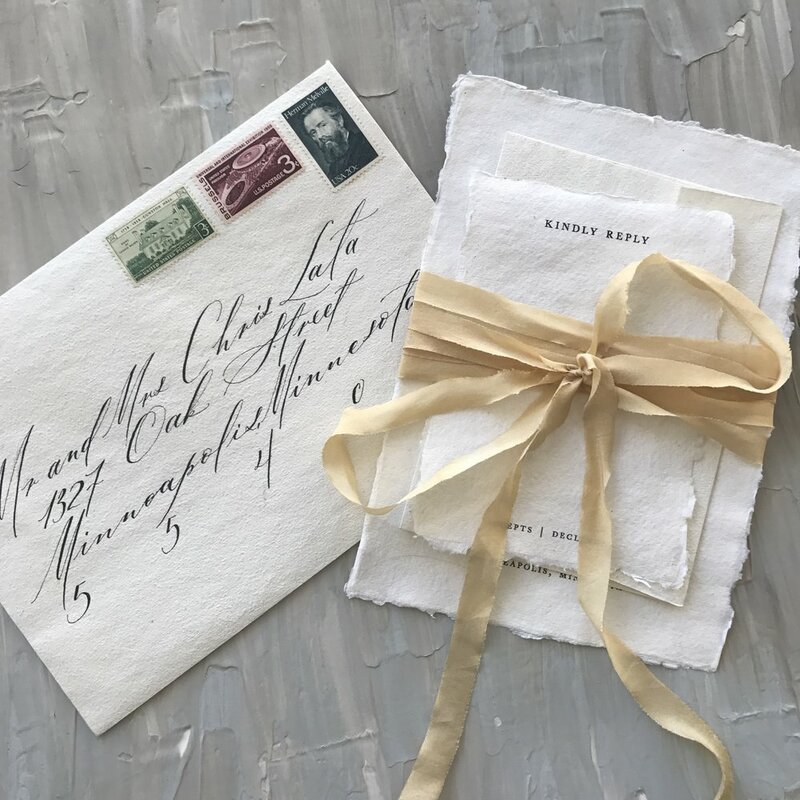 It just feels so personal and heartfelt knowing that it was meant especially for you. 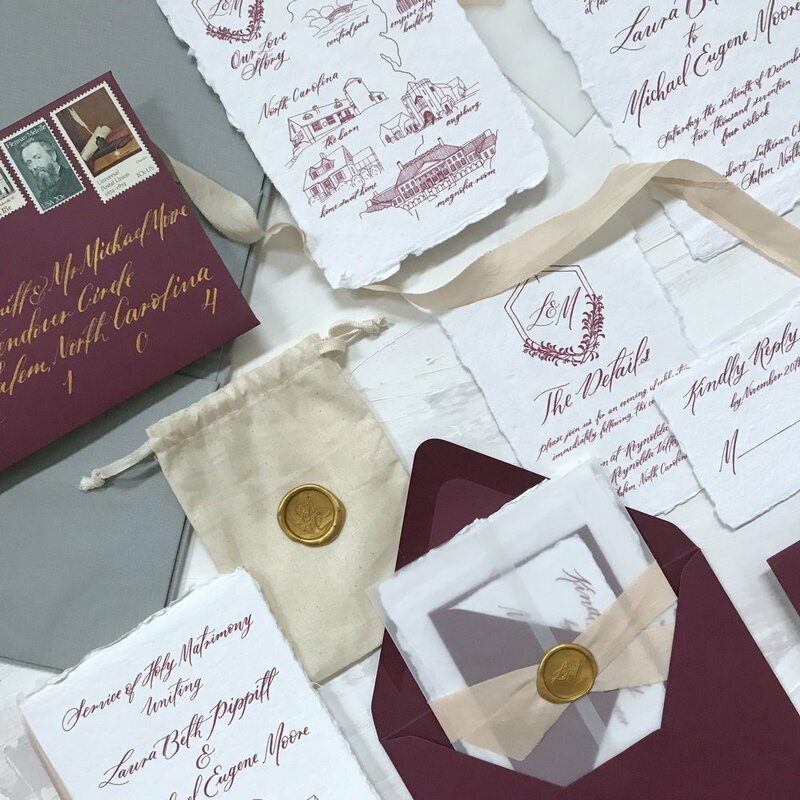 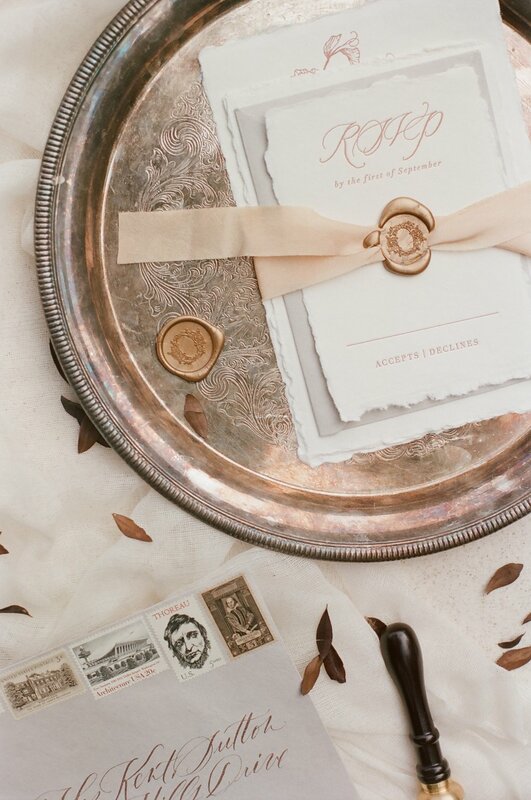 Your invitations are one of the first interactions you have with your guests, so let's make them extra special! 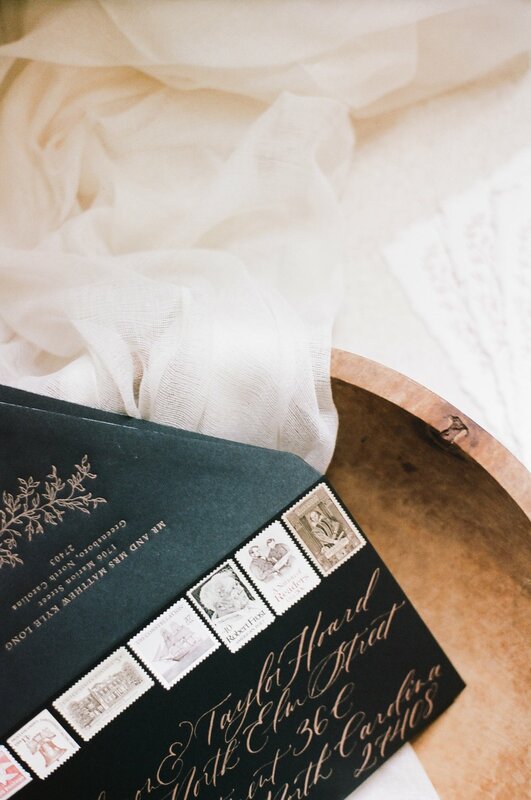 Creating something that perfectly captures the spirit of you and your fiancé is my favorite aspect of heirloom stationery design, and I love working one on one with couples to help bring their vision and relationship to life on paper. 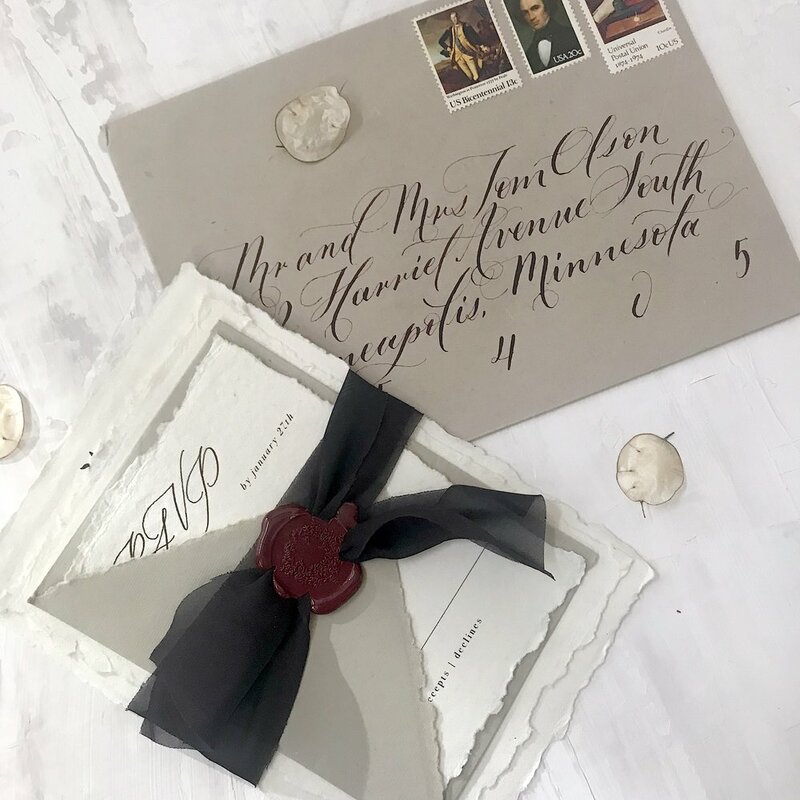 Calligraphy envelope addressing begins at $3.50 per envelope. 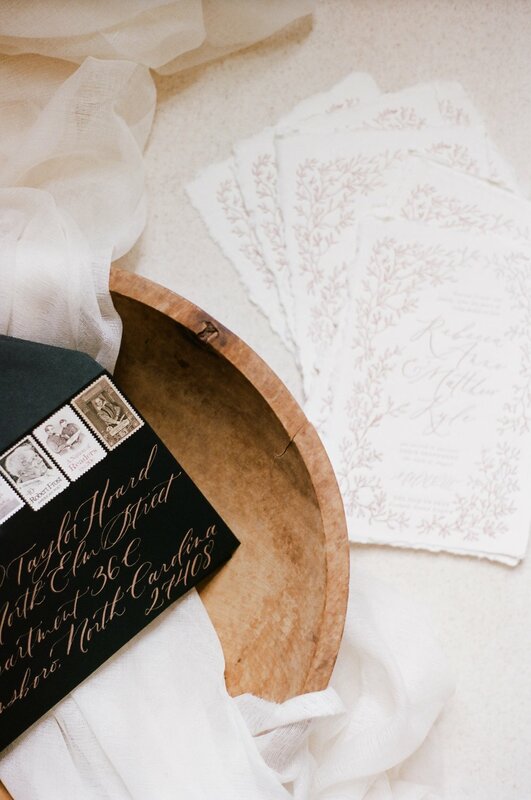 Heirloom stationery design begins at $1,200. 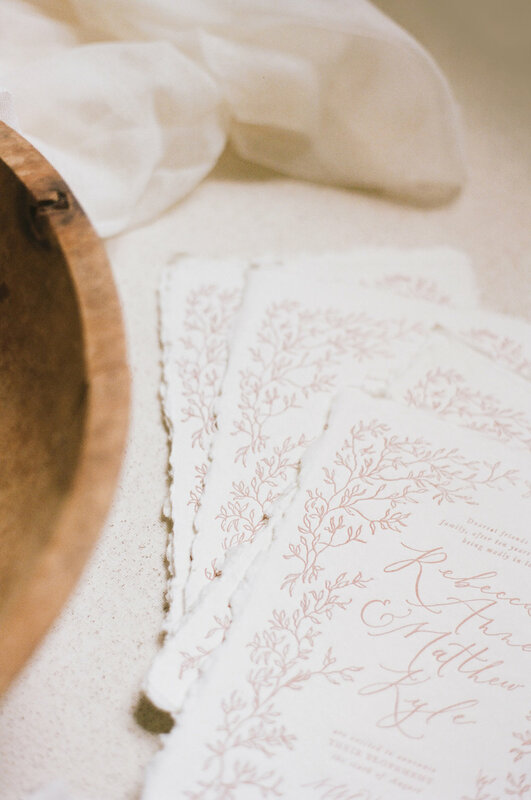 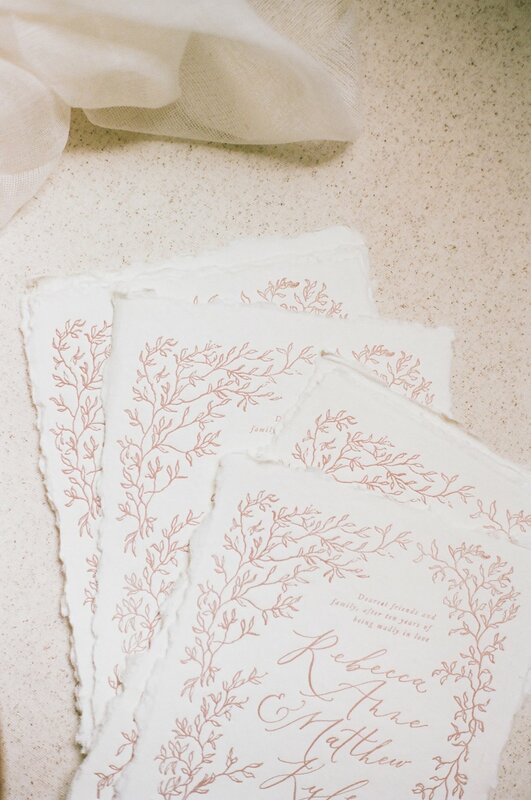 On average, our couples invest between $1,500-$4,000 for custom stationery. 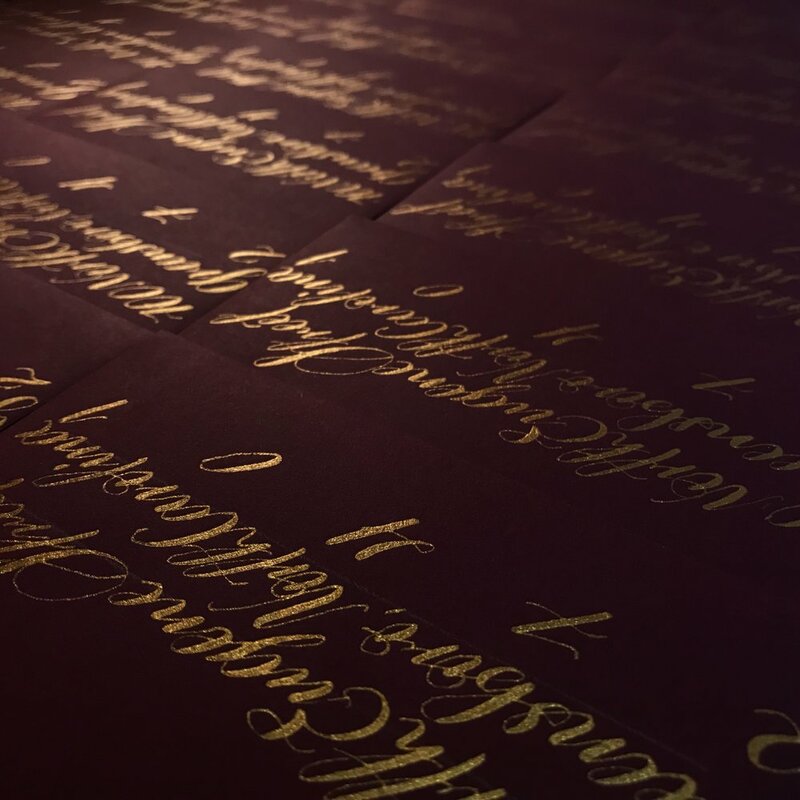 Please inquire for more information and a detailed quote. 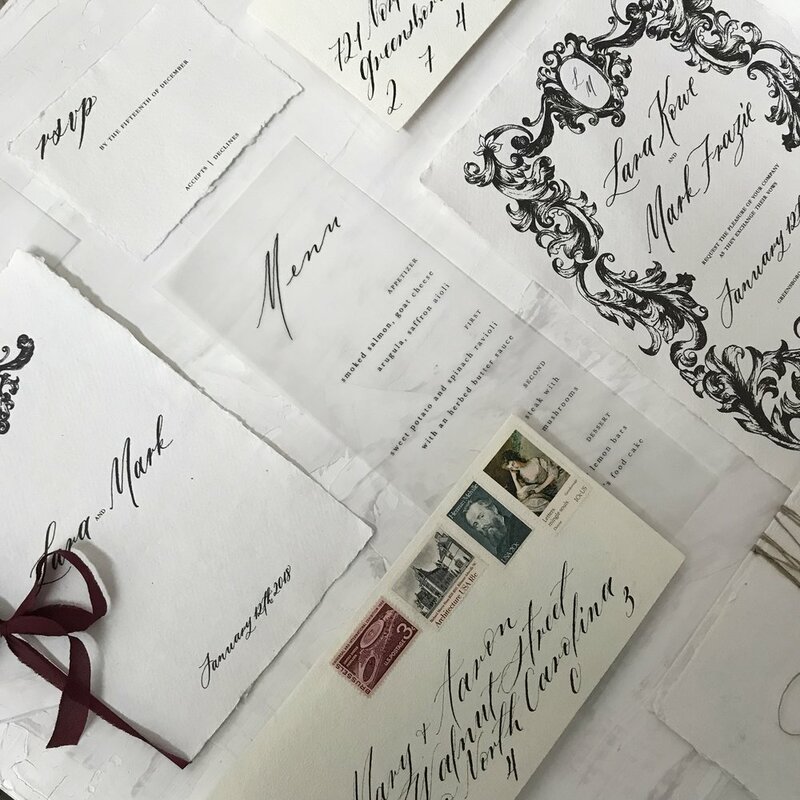 Our current production schedule for heirloom stationery design is 8-10 weeks, and 2-4 weeks for day of goods and envelope addressing. 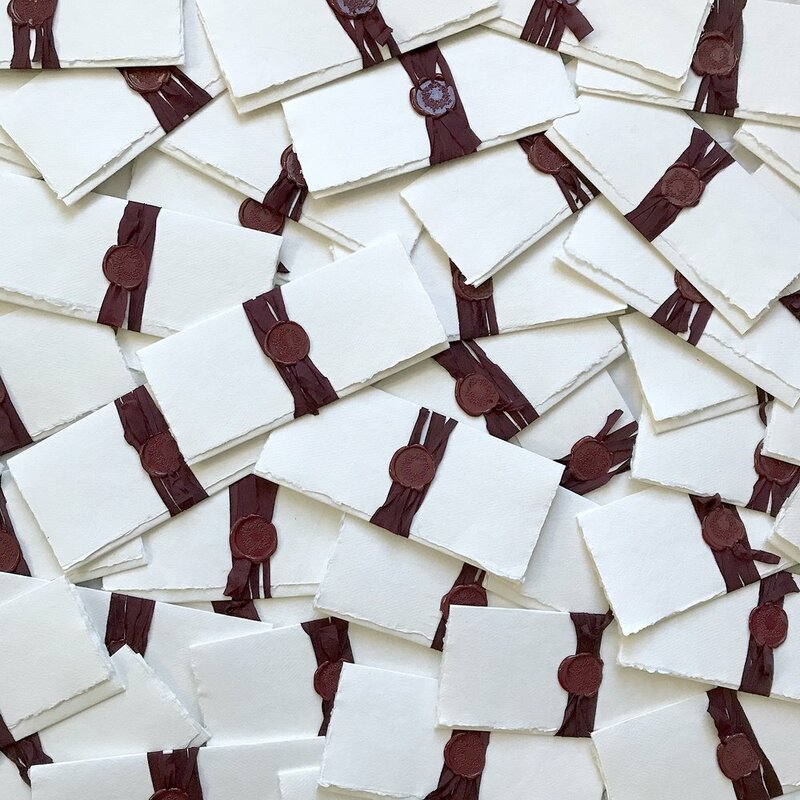 We are sometimes able to accommodate shorter timelines, so please don't hesitate to reach out!